I am so excited… Christmas is nearly here! In between all of my flying training sessions ready for the big night, Santa has said that I can come and tell you all about the amazing fun that you can have with me and my friends here in Lapland! Whilst a very long time ago, I wasn’t able to join in the games, since Santa had me guide the sleigh with my red nose I try and have as much fun as I can, and make sure that everybody visiting can do the same. Sami & Reindeer Although my Reindeer friends and I pull Santa’s sleigh, we would be much too tired to fly everybody around the world, which is why you will be coming to see us on an aeroplane. Don’t worry though, as soon as you arrive into the airport, me or one of my friends will be waiting to say hello! There may even be some Elves too – keep a special eye out for my friend Nokki! 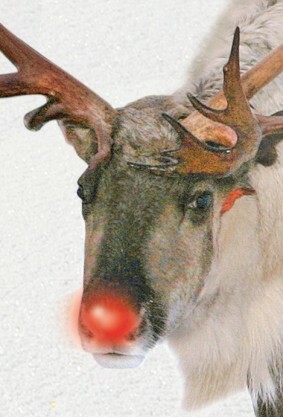 I have to say that MY favourite part is when you get to feed me (or of course my friends) my favourite Reindeer treats! I do realise though, that although I think they are delicious, you prefer to eat a different type of dinner. Having seen (and smelt!) some of the food that the Hotels make, I would definitely go for the half board options, or for one of Santa’s Christmas Cabins. 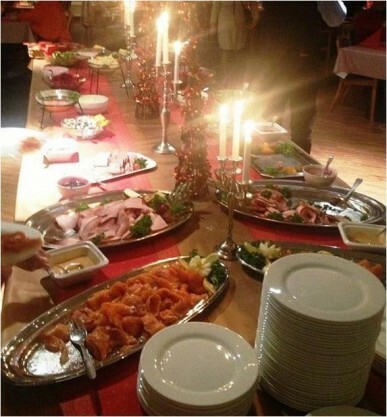 The best part of this is that you will then have a special Christmas gala dinner. This includes crackers, Christmas songs to join in singing and of course, a very tasty Christmas meal! For me, the most exciting day, is the Adventure Day, when you have the chance of coming on a magical Reindeer Sleigh Ride. I can’t promise we will fly up in the air as Santa does, as all of the Reindeer (including me) have to save some of our energy to ensure we can deliver all of your presents! 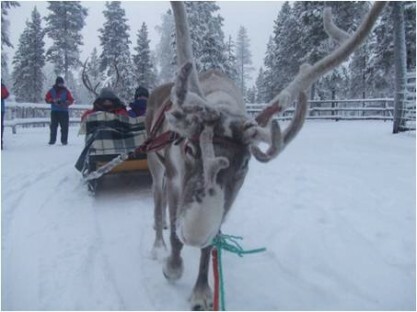 Reindeer Sleigh Snuggling under warm blankets whilst I show you around my magical home, I know that you will love your ride. Once we have finished our explore around, I would love for you to meet me face to face. I love to be petted, and hope that you will take a photo with me to remember my friends & I when you are home. Aside from your adventure with me (which is of course my favourite), there are many other activities that you can try during the day. Adults can enjoy an amazing ride driving a snowmobile, whilst the children are towed in a special sled. You can even go in the evening and have a chance of seeing the beautiful Northern Lights! If anyone can see themselves as a future winter Olympian, there is even a toboggan run, or a chance to try skiing. Personally, I find skiing far to difficult, 4 legs are far too many to control! There is of course another amazing journey you can take on a sled…but I will let my friend Hannes tell you all about that another time. I can hear Santa coming to give me my tea so I best go for now.. 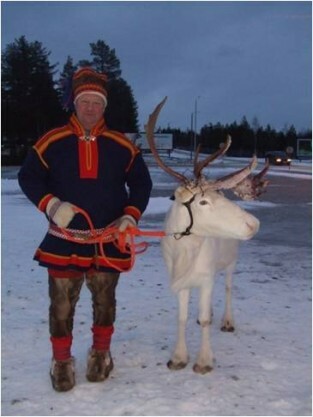 I do hope that I can tell you more about my days up in Lapland soon – hopefully you can tell me all about you when we meet!